Lawn mowing can seem like a tedious task to many people. The thought of having to root around your garden shed for the lawn mower can send shivers down some people’s backs. However, mowing the lawn can be therapeutic and if you mow your lawn the right way it will look much healthier. Mowing your lawn is a skill, and like many skills the more you practise the better you will get. Avoid mowing your lawn in the heat of the day. This can potentially damage your grass, the same goes for mowing your grass in the wet which we do not recommend! As this can damage your lawn mower and could potentially electrocute yourself. For a healthy lawn never remove more than ⅓ of the total length of a blade of grass. Height is a crucial element of lawn mowing. Most grasses will have a varying range of recommended mowing heights, we would advise you to stick to the upper end of that range. Don’t forget to check your lawn beforehand! Every year hundreds of people get injured mowing the lawn. Before you even start the lawn mower up examine your lawn carefully removing anything like pegs, wood chippings and any other stray items that may be lying around. It’s very important that you make sure that your lawn mower blades are sharp. If your blades are blunted from the previous year this will not give you a clean cut, resulting in the ripping and tearing up of your lawn, this is the last thing you are going to want. When mowing your lawn we would advise varying your mowing pattern every time you mow. This will help you avoid compact soil and your grass is going to be able to stand up nice and tall. 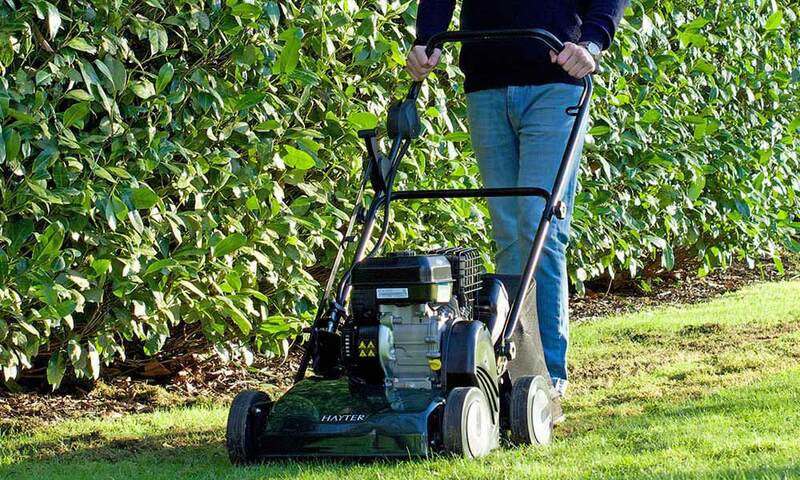 Did you know here at Fosseway Garden Centre we offer a range of lawn mowers? Take a look at our wide range or take a trip to our garden centre to see what we have in stock.